Try to find a compromise with co-workers about office temperatures instead of secretly changing the thermostat. The temperature outside is rising and so are tempers inside. Fifteen percent of workers have argued with their co-workers about office temperatures, according to a recent CareerBuilder survey. In addition, nearly one in five workers (19 percent) have secretly changed the office temperature during the summer — 13 percent to make it cooler and six percent to make it warmer. For many workers, deciding what to wear to work involves considering the temperatures outside as well as inside. 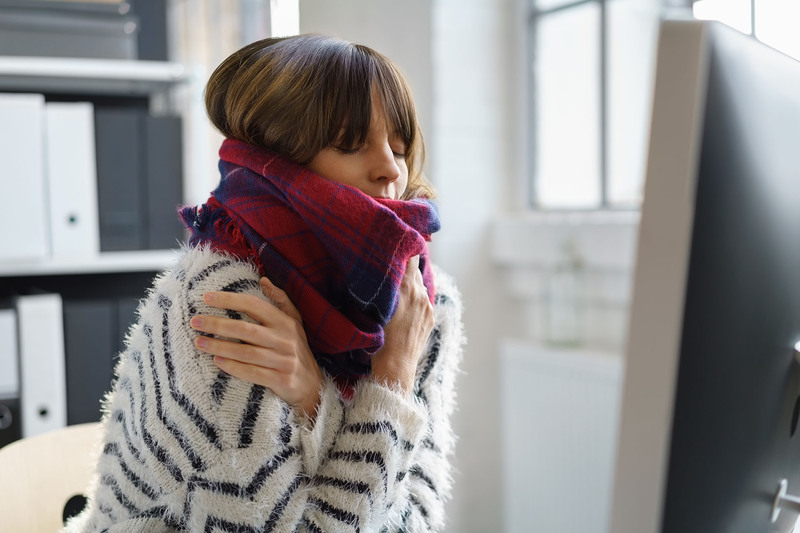 Forty-six percent of employees say their office is either too hot or too cold. Being uncomfortable at work affects worker productivity especially if the office is too warm (67 percent of workers) but also if the office is too cold (51 percent of workers). Unfortunately, a universally agreed upon office temperature doesn’t exist. The top three industry sectors with office temperatures that are too hot are the same top three industry sectors with office temperatures that are too cold (health care, retail and manufacturing). In California, employers must comply with the heat illness standard for outdoor workplaces, which also includes additional high-heat procedures applicable to certain industries, like agriculture, landscaping and construction. New legislation passed in 2016 requires Cal/OSHA to propose a heat illness and injury prevention standard for indoor workplaces by January 1, 2019. Stay tuned to HRWatchdog for more updates. CalChamber members can read more about Heat Illness in the HR Library. Not a member? See how CalChamber can help you.